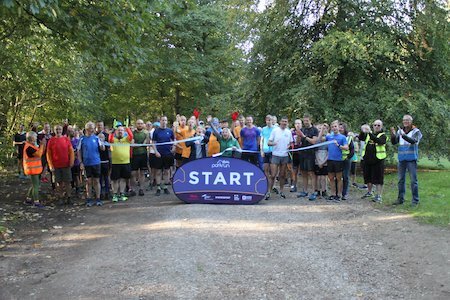 What is Wendover Woods parkrun? The event takes place at Wendover Woods, Forestry Commission, Chilterns Office, Upper Icknield Way, Aston Clinton, Aylesbury, Bucks, HP22 5NF. See Course page for more details. Wendover Woods parkrun needs you! It is entirely organised by volunteers - email wendoverwoodshelpers@parkrun.com to help. Every week we grab a post parkrun coffee in Café in the Woods - please come and join us! See our volunteer page for details on getting involved in making Wendover Woods parkrun happen.